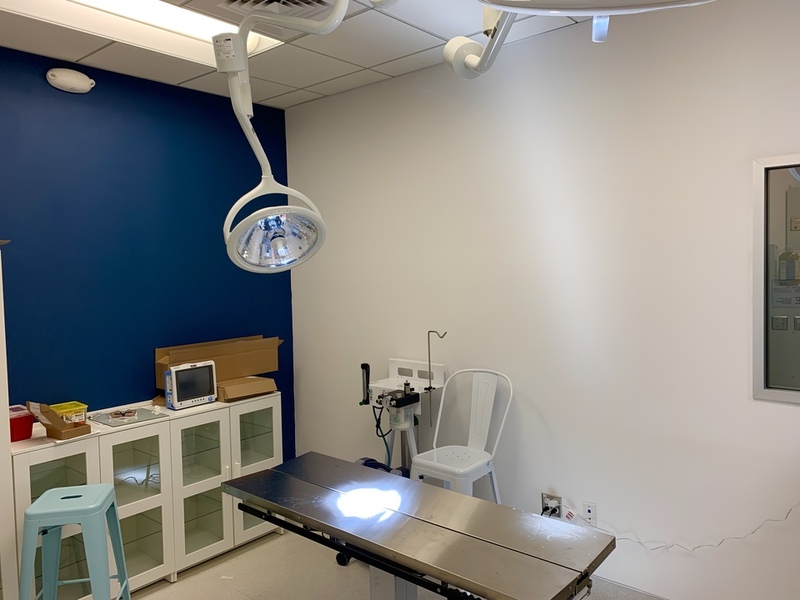 Dog and cat owners in the Castro and Duboce Triangle now have a new neighborhood option for veterinary services. 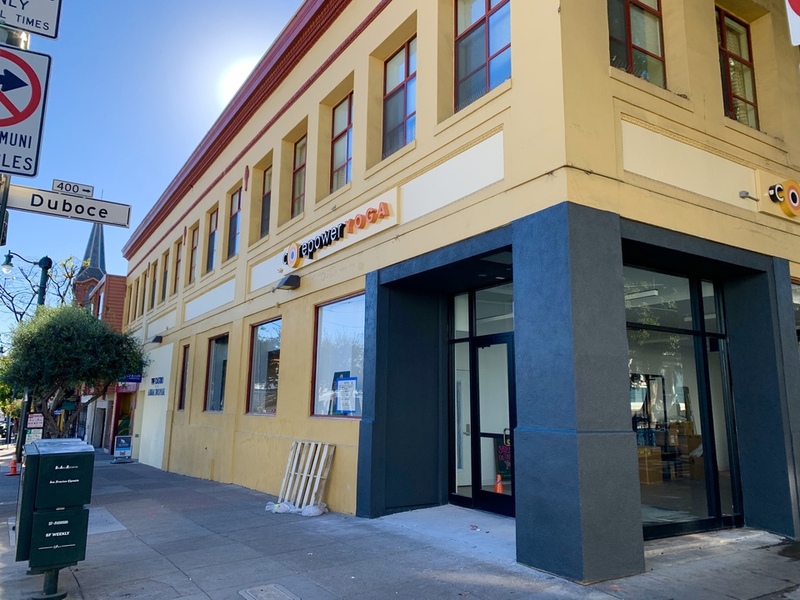 The Castro Animal Hospital is set to open at 100 Church Street (at Duboce Ave.) this coming Monday, January 7. 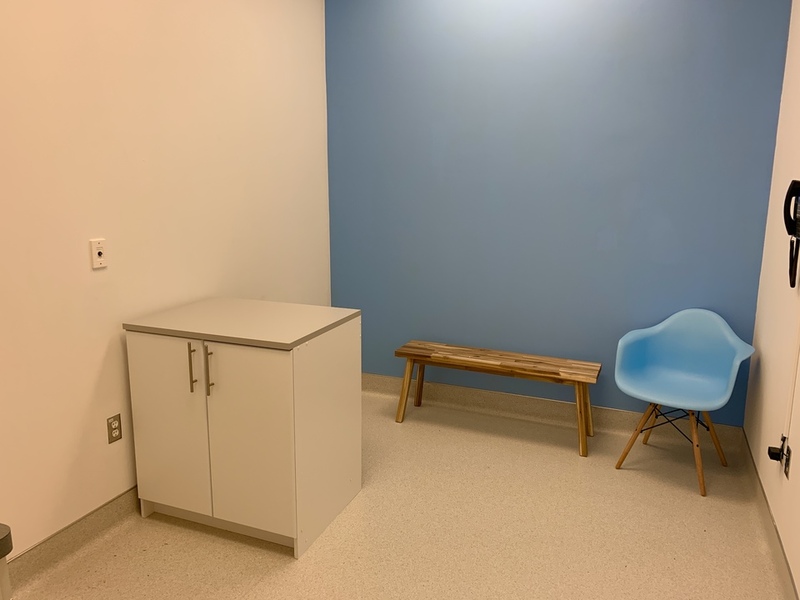 Located beneath HIV/AIDS hospice Maitri Compassionate Care, the space sat empty for years after being vacated by the AIDS Healthcare Foundation's Magic Johnson Center in 2014. It's been under construction since Hoodline first reported plans for the animal hospital in December 2017. The new animal hospital will soon be joined by CorePower Yoga, which announced plans last year to take over the former Out of the Closet space at the busy corner. The yoga-focused fitness studio should open later this month. 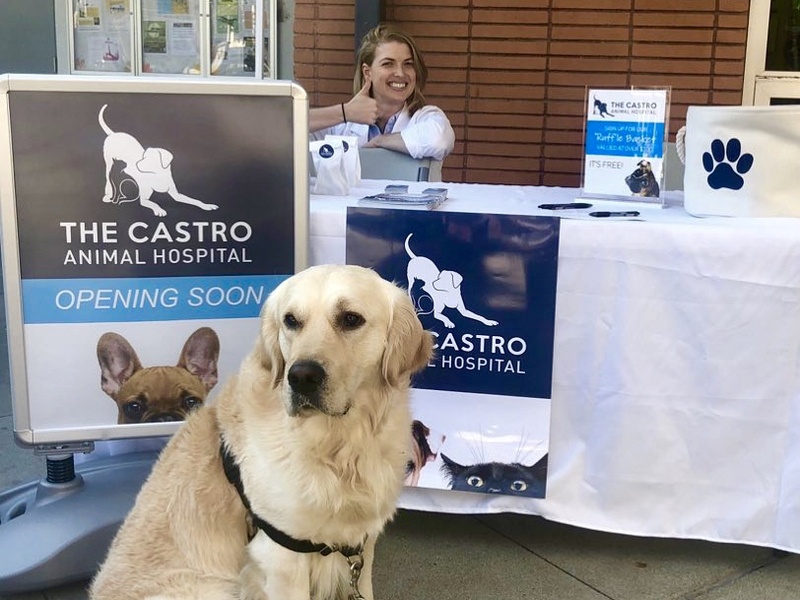 To start, the Castro Animal Hospital will specialize exclusively in dogs and cats, with the potential to bring on specialists in rabbits and rodents at a later date. 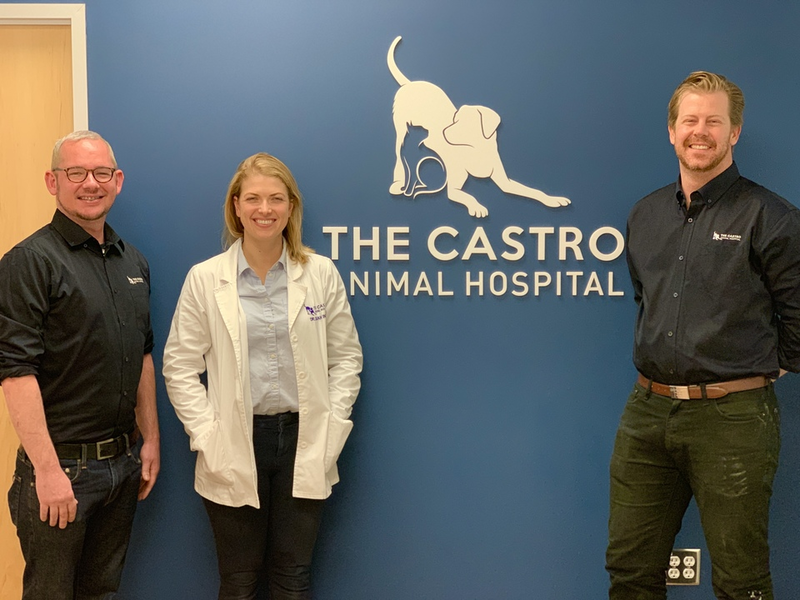 "We're a full-service hospital, so we'll do vaccinations, wellness, in-house blood tests, ultrasound, full surgery services and emergency care," said veterinarian Sarah Inman, who owns the Castro Animal Hospital with her husband, Shane O'Mara. However, the hospital will not offer overnight care. "If it's something requiring the animal to be kept in the hospital for several days, we'll have to have them transferred to a 24-hour facility," Inman said. The hospital will only be open for five days a week at first, closing on Wednesdays and Sundays. "That's not necessarily going to be permanent," Inman explained. "Hopefully we're going to open up on Wednesdays as well, but as I'm the only doctor, we're starting small." Clients will be able to schedule appointments for their pets online, or walk in. Inman says she'll also offer free consultations to first-time customers, so they can get to know her and see if it's the right fit. The industry standard for appointments is 20 minutes, but Castro Animal Hospital's appointments will last 30 minutes, explained practice manager Jason Wake, who previously worked with Inman at the Sunset's Avenues Pet Hospital. "This allows for more client care and better medical care." "Our patients can't talk," Inman added. "We have to sit down and get a really thorough history from the owners to work out what's going on." Inman and O'Mara hope their animal hospital will increase foot traffic in an area troubled by blight. "This whole space has been vacant for years," O'Mara said. 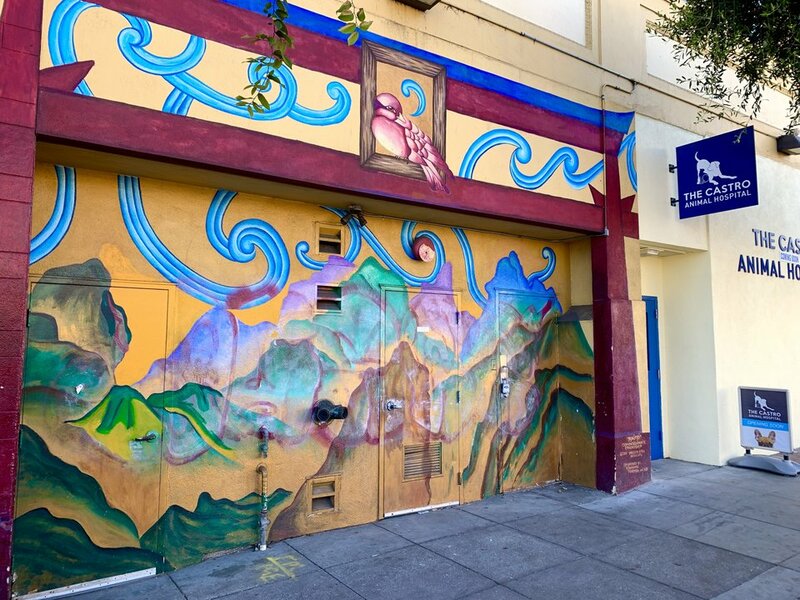 "The Duboce Triangle Neighborhood Association (DTNA) has spoken about more foot traffic bringing it to life." To encourage foot traffic, the hospital will offer a limited selection of retail items, like prescription food. They'll also sell them via an online store. In the2015 Castro & Upper Market Retail Strategy, neighbors identified a veterinary clinic as a desirable business. "There was a real gap in this neighborhood," said O'Mara. "We're excited to fill the need." But the year-long process of getting the hospital's doors open "has been tough," Inman said. The hospital qualified for the city's Community Business Priority Process Program (CB3P), which streamlined the process for its conditional use permit. Nonetheless, dealing with all the necessary city departments "took about 90 days," said Inman. "They're busy, but it's been good," O'Mara said. "We have pretty good contractors, and they handled a lot of that for us." Inman said the clinic has gotten a lot of positive feedback in the neighborhood so far, both on social media and at the December DTNA meeting. "This has been a year in the making for us, so it's exciting and really cool," she said. With Maitri's hospice located right upstairs, Inman said she and O'Mara are hoping to get involved by providing support animals. The hospital won't provide on-site animal adoptions, but it will work with local pet rescues and the SF SPCA to connect potential owners with animals in need of a home. The couple also hope to host an open house for the neighborhood "in late January or early February, when everything's a little more organized," Inman said. As part of the shifts taking place at 100 Church, a portion of a 2001 Precita Eyes mural along the Church Street side of the building has been painted over. "We'll probably leave that space as it is now, and maybe we'll look at doing something later on," O'Mara said, noting that he and Inman are currently exploring doing something new with the remaining portion of the mural, which was recently vandalized. For now, though, they're focused on settling in as first-time business owners. "We've always talked about opening our own clinic, and the opportunity just kind of arose," said Inman. "There's something about being your own boss and getting to do it the way that you want it to be done." 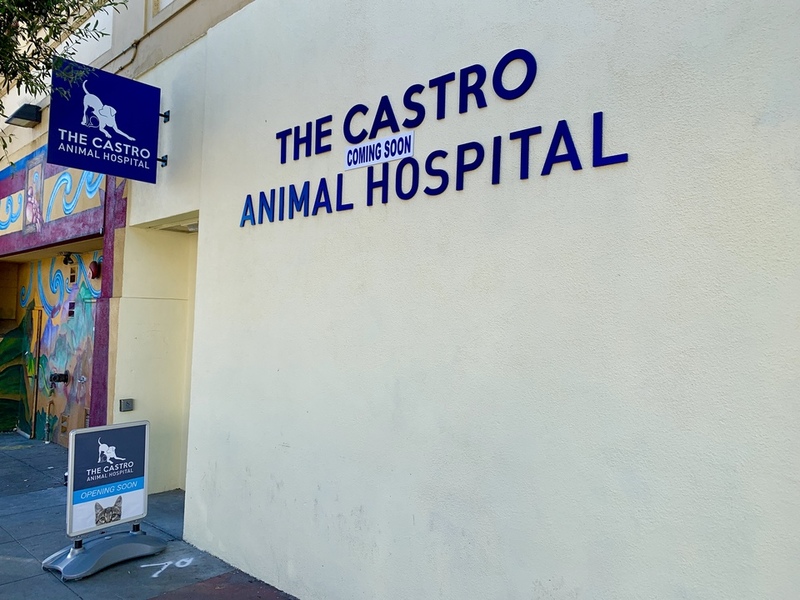 Starting January 7, the Castro Animal Hospital will be open from 8 a.m.-6 p.m. on Monday, Tuesday, Thursday and Friday, and 9 a.m.- 4 p.m. on Saturday. It's closed Wednesdays and Sundays. The Castro Animal Hospital is currently hiring; those interested should submit a resume to admin@castroanimalhospital.com.